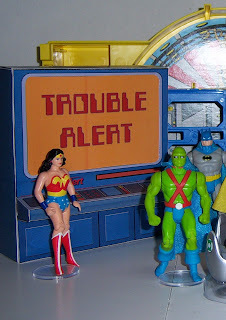 Also known as the Trouble Alert, the TroubAlert is an advanced globally networked emergency monitoring system relaying information from the Justice League Satellite to the Hall of Justice alerting the Super friends to all sorts of dangers and natural disasters. The TroubAlert is also connected to the Secret Department of Investigation (SDI). The SDI is an agency withing the United States government which alerts the SuperFriends when they are needed in case of danger and other emergencies. Colonel Wilcox routinely contacts the SuperFriends on behalf of the SDI using the TroubAlert. No Hall of Justice can be complete without its very own TroubAlert. 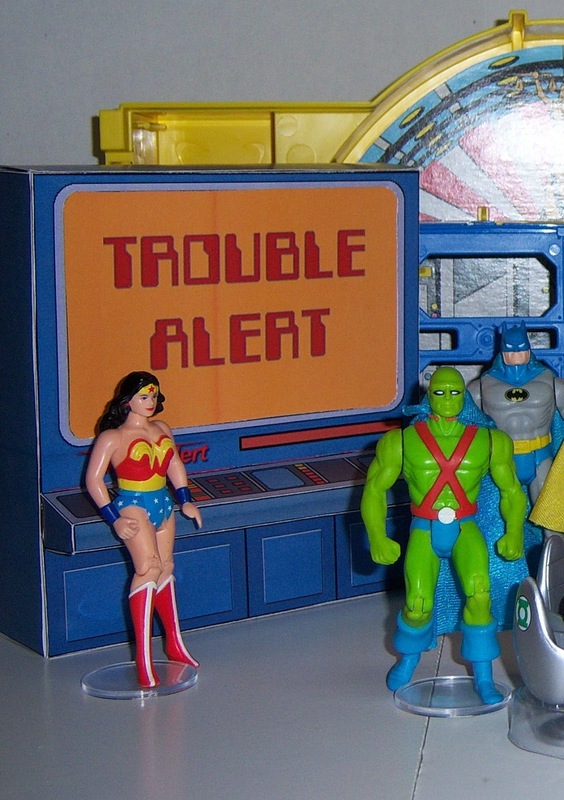 Now you can have a papercraft version of the TroubAlert for your Hall of Justice. Just download the plans, print out on 8.5 x 11 cardstock, cut out, and assemble. follow the link to the left to download the plans for the TroubAlert. What do you think of this papercraft? Have you have made your own? Please leave a comment below. Nice accessory for the HoJ. Where did you find the table? 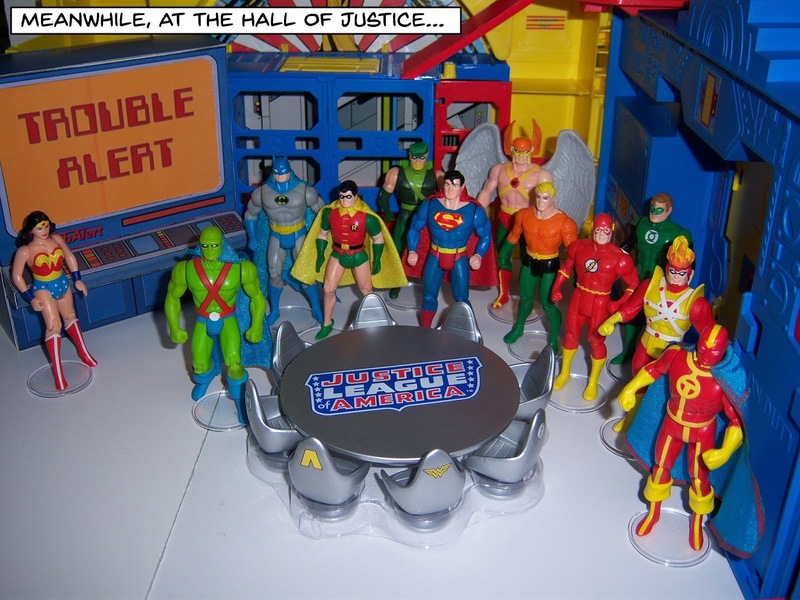 Its a DC Pocket Heroes JLA table. Its slightly out of scale but it displays nicely.